I am a believer after trying this sous vide method to cook steak. It is never overcooked and dry, I think this is the best way to cook an expensive cut of meat. Although it may take more time to do it, your patience will be greatly rewarded. The active working time is so minimal that I can literally walk away after setting it up. 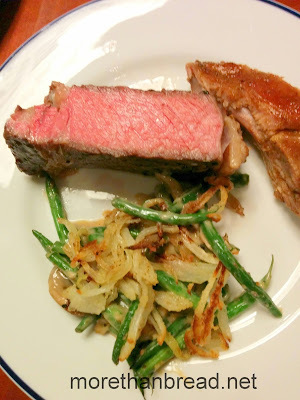 Sous vide is not new (French meaning "under vacuum"). It has been a well-known French cooking method for hundreds of years. 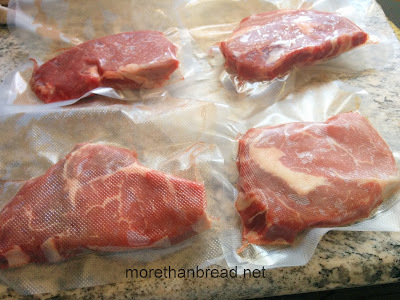 By submerging food that has been vacuum packed in a constant temperature over time, no moisture is lost and the whole piece of meat/food is consistently cooked to perfection. Season the meat with salt, pepper and the herbs of your choice (rosemary, thyme are a good choice).Vacuum packed it. Alternatively a simple water displacement method can be used to let the air out. You will need a pot which can provide constant temperature. I use the Instant Pot Ultra. 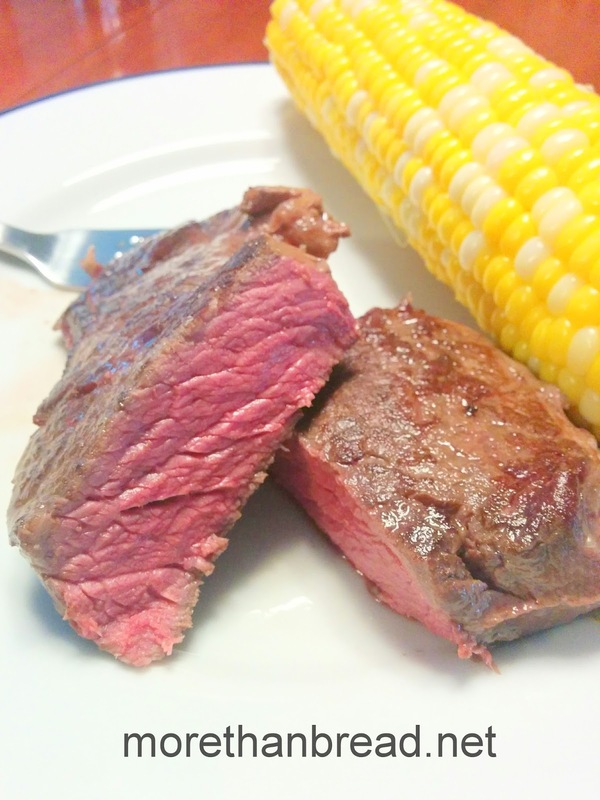 For medium steak, set the temperature to 140F. Depends on the thickness of the meat, it needs to be cook anywhere from 1-4 hours. Mine are 2 inches thick. I cooked them for 3 hours at 140F. Blot dry the meat and sear in a hot pan for 30 seconds each side. Serve immediately. this is a wonderful idea for the Instant Pot so you don't need to buy an extra single use and expensive gadget- Sous Vide stick. I have only the original 6Q Instant Pot which does not have a specific temperature setting. I will definitely try this when it's time to upgrade my pot to the Ultra model. Thanks for posting Instant Pot recipes!